Remember how everyone got excited about the new girl in school? The moment she walked into the room, she captured everyone’s attention with her beauty, style and ease. Fast forward years later: Vegas has a new woman on the Strip and this beauty is here to stay. If you’ve heard anything about The Park, the outdoor dining and entertainment district connecting Monte Carlo, New York – New York and the 20,000-seat T-Mobile Arena, then you know it’s going to be awesome. From the real trees and restaurants to energizing bar scene, you can easily spend the entire evening here. 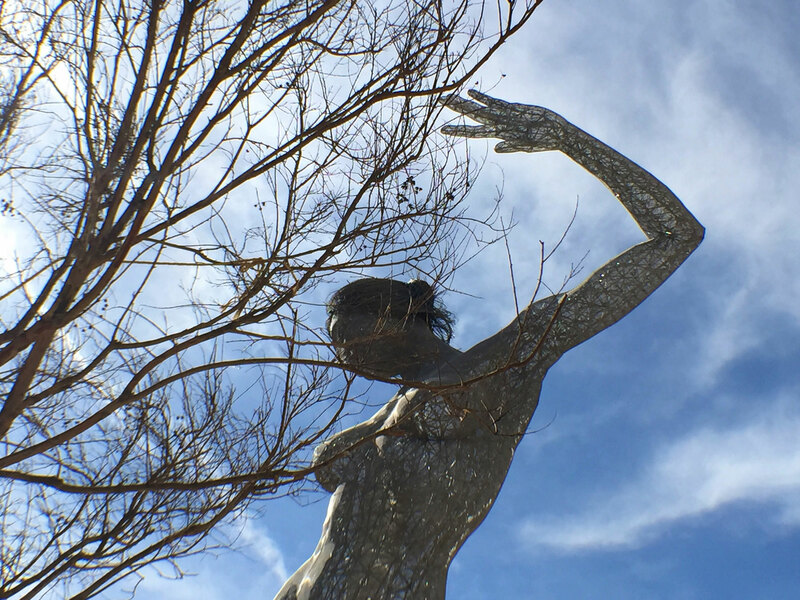 Something you can’t ignore is the beautiful 40-foot-tall steel woman, Bliss Dance. Now that’s a real woman of steel. Bliss Dance stands 40 feet tall. She clearly doesn’t need a pair of stilettos. Photos courtesy of Jennifer Whitehair. 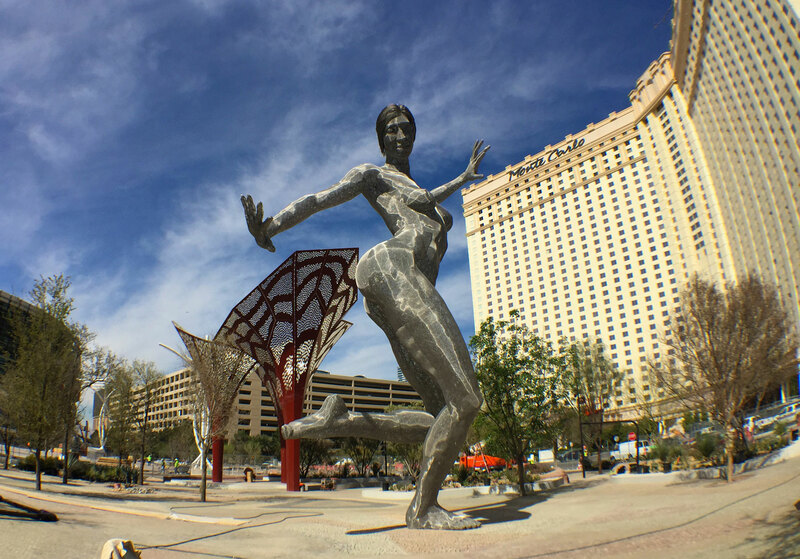 Weighing an astounding 7,500 pounds, Bliss Dance is made of stainless steel mesh with a steel interior structure. She is the focal point of The Park. Whether you’re here for happy hour or passing through to catch a show at the arena, we guarantee you’re going to snap a few photos. Get to know the new gal in town — she’s more than just a pretty piece. Bliss Dance debuted in 2010 at Burning Man, then stood on The Great Lawn at San Francisco’s Treasure Island from 2011 – 2015. Now she’s a Vegas girl… but not in the way you’d expect. “There’s a lot of assumption that women are objects here, much more than most places,” he explained. “It’s strong all over the world, but right here it’s blatant. Cochrane said the world is missing an appreciation and respect for feminine energy — power that results when women are free and safe. Bliss Dance expresses all of that. According to the artist, she’s a woman whose joy, energy, power, purpose and humanity transcend her physicality. This is a symbol of what a woman looks like when she’s completely free from harm. Shine, Bliss Dance. Shine. Read more about upcoming changes at Monte Carlo, including The Park and the T-Mobile Arena. The Park opens April 4.